The 127 Corridor Sale bills itself as the World’s Longest Yard Sale. Officials in Kentucky and Tennessee started the annual sale in 1987 to promote attractions along the back roads of the two states. The yard sale event now spans six states and stretches for 690 miles. It starts on the first Thursday of August each year. Whether you make it a long weekend and travel the entire route or go treasure hunting just on the stretch nearest to you, you can tailor your itinerary at the World’s Longest Yard Sale. Pick through a hodgepodge of closet-clearing junk, household items of varying vintage, and genuine antiques from individuals and professional dealers. Up to 5,000 vendors set up shop along the route. The event organizers discourage them from selling used clothing (though it's not prohibited), and instead try to promote "antiques and oddities." In some places along the route, there's the air of a church rummage sale; in others, it feels more like an antique roadshow—occasionally with prices to match. 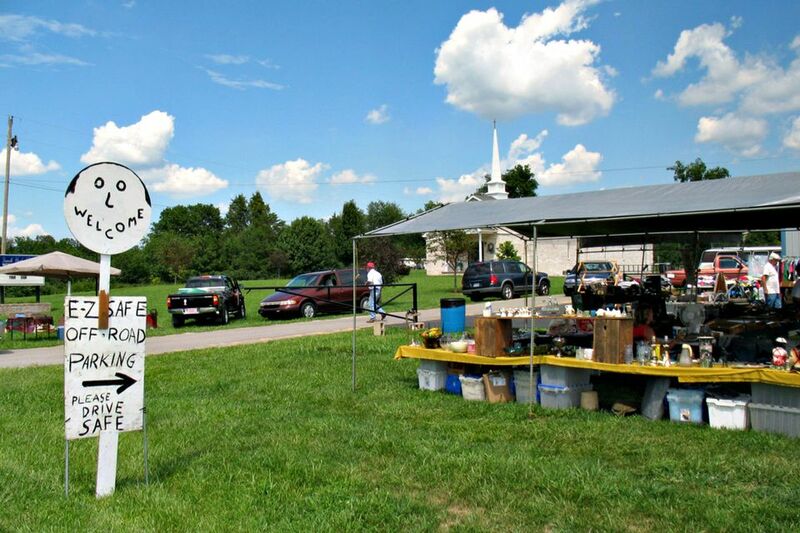 The World's Longest Yard Sale begins in Michigan and extends 690 miles to Alabama. If you travel the entire route, you pass through Michigan, Ohio, Kentucky, Tennessee, Georgia, and Alabama. From its start near Addison, Michigan, to the stretch near Chattanooga, Tennessee, the World's Longest Yard Sale follows US Route 127. It continues on past Chattanooga to the finish line in Alabama on Lookout Mountain Parkway, often touted as the most scenic portion of the drive. The yard sale takes place annually, starting on the first Thursday of August and extending through Sunday. For the 30th anniversary year in 2017, the sale takes place August 3 through 6. Vendors set their own hours, but generally, start at 7 a.m. or 8 a.m. and continue into the early afternoon and in some cases, the evening. Enjoy arts and crafts booths and food vendors along the way, in addition to all the yard sales. Chambers of commerce and tourist bureaus in the surrounding communities take advantage of the traffic to promote other attractions in their regions, so you can pursue diverse interests alongside the yard sale extravaganza. The trip takes you on a journey through rural Americana, where you can explore country culture, music, recreation, and cuisine. Book lodging as far ahead as possible, but at least one month in advance. Carry cash in small denominations. Watch for clustered sales in vacant lots, fields, and parks. Follow these top 10 yard sale shopping tips to score a brag-worthy find.